A crepe back satin lining has a good weight and is perfect for adding a bit more substance to outerwear. If the polar vortex is returning to your part of the world consider using one with flannel backing for an extra bit of warmth. In addition to the basic neutrals, satins come in lots of pastel or jewel tones to add a pop of color to your warm winter coat.... Here I am attaching it to the end of the bag lining. You can add these pockets to the outer or lining of a bag. You can add these pockets to the outer or lining of a bag. * Note that I chose to cut out two pocket pieces for each set of elasticated pockets. The lining is easier to assemble when the lining/facing seam is simplified. 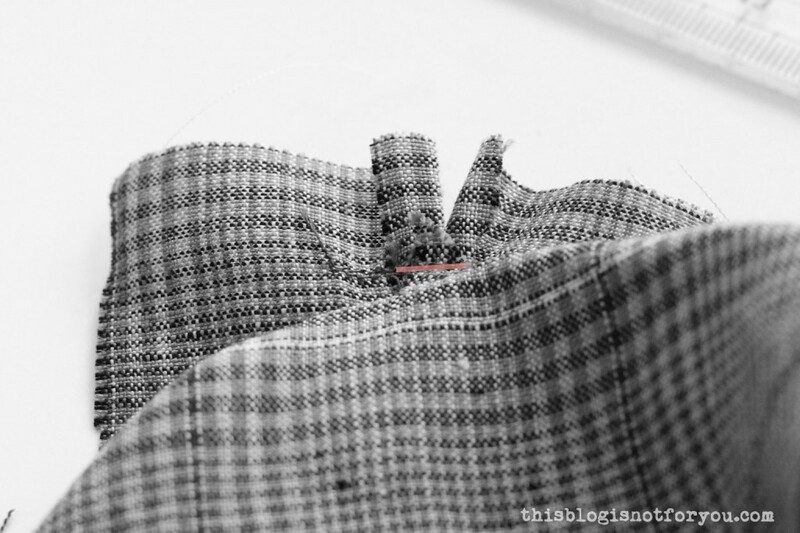 This seam keeps the facings from rolling out of position; and because the facing is stitched on top of the lining, the lining helps keep the seam from showing through with wear on the right side. And, in a sleeveless garment, all the major seams, including the armholes, are finished on the sewing machine.... If you have to cut a lining, you don’t need to make a panel on the lining as well. Just cut out the original bodice pattern piece (If you’ve cut it, just tape it back together). Just cut out the original bodice pattern piece (If you’ve cut it, just tape it back together). Cape is correct (or less ambiguously, long hooded cape). Cloak might be more accurate because of the length (cape can be short or long, but usually short). Cowl generally refers to an entirely closed garment with sleeves. :) It is a little confusing, since the words are often used interchangeably.... Here I am attaching it to the end of the bag lining. You can add these pockets to the outer or lining of a bag. You can add these pockets to the outer or lining of a bag. * Note that I chose to cut out two pocket pieces for each set of elasticated pockets. 5/01/2010 · She’s making a nice winter coat and has some great video posts showing how to handle the interlining and some of the other advanced steps like easing and setting the sleeve and padstitching the collar/lapel. It looks like a lot of steps, but seeing it done gives me courage to attempt the more advanced techniques on my next coat/jacket. 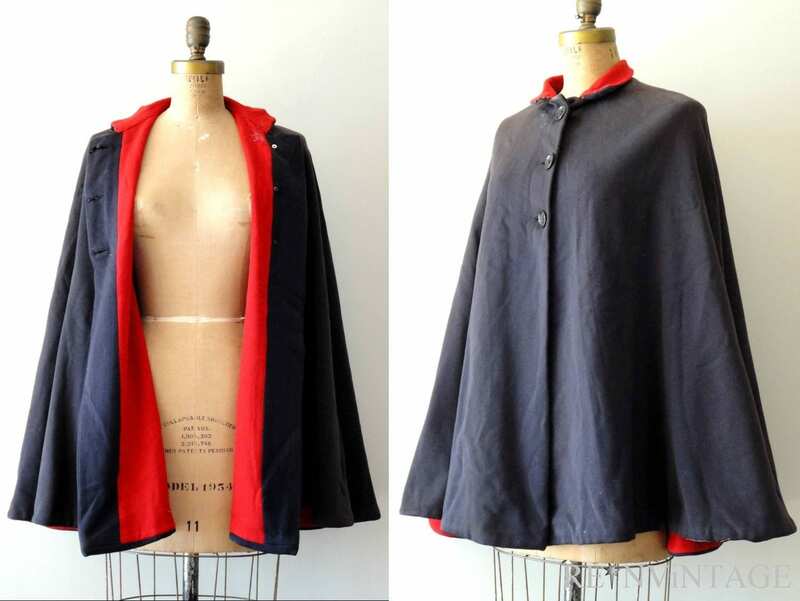 Add to the lower edges to make the fronts the length you would like for your finished cape. Turn the coat over and trace the shoulders, neckline, and back for the basis of your pattern. Add to the lower edges to make the back the length you would like for your finished cape. Have the child put on the cape and mark where to place the Velcro coins at the top of the cape's placket. Sew 2 loop (fuzzy) coins to the child's right side of the cape, facing out. Sew the hook (rough) Velcro to the left cape placket, facing in. Click Model and New to bring up the Add Surface Pattern. Rename the pattern, change the line angle to 90 degrees, change line spacing 1 to 2- 85/128” and hit OK to get out of the Material Browser. Rename the pattern, change the line angle to 90 degrees, change line spacing 1 to 2- 85/128” and hit OK to get out of the Material Browser.